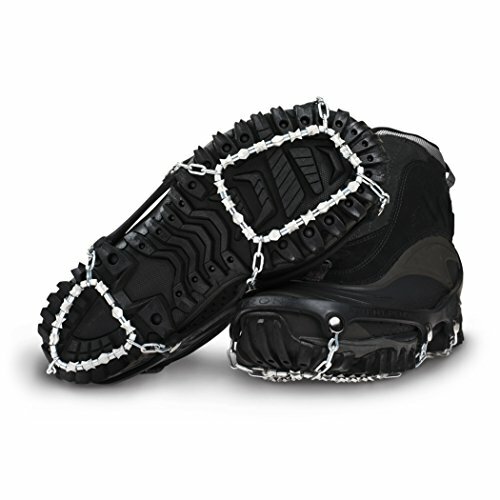 ICETrekkers Diamond Grip Traction Cleats provide aggressive traction in all winter walking conditions, from boilerplate ice to backcountry snow and the whole lot in between. 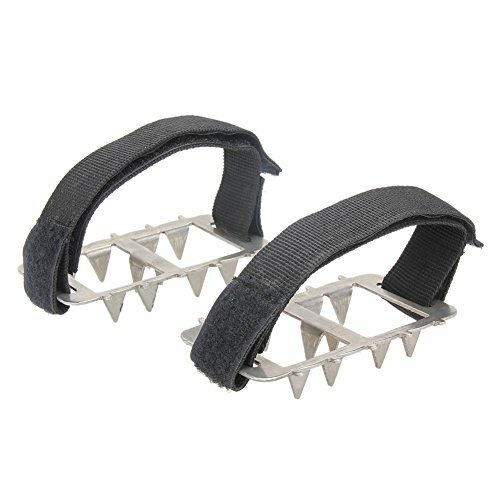 Made of case-hardened steel alloy and strung on steel aircraft cable, the grips’ patented diamond beads have hundreds of biting edges that grip in all directions. 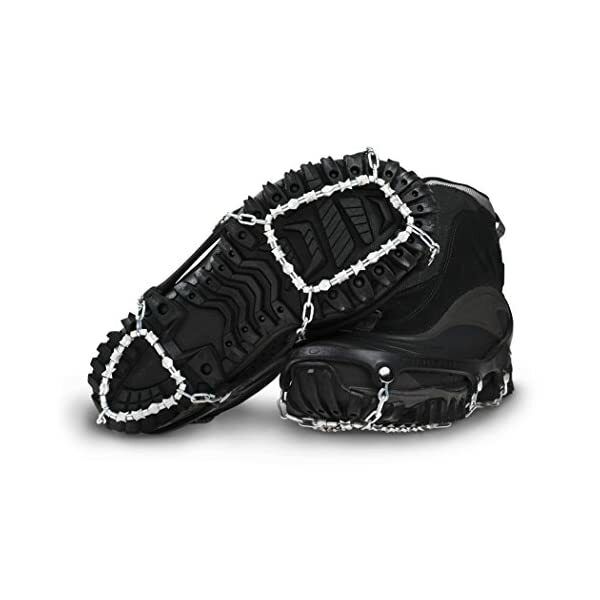 Effective for every type of winter terrain, ICETrekkers Diamond Grip Traction Cleats transition with ease through gravel, rock, mud, snow and ice, making it nearly inconceivable to slide. 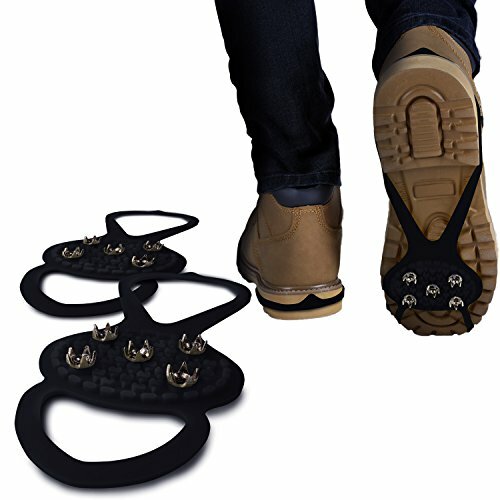 Easy to place on and take off, way to an elastic, yet tough, rubber sling, cleats can also be worn with most footwear, including athletic shoes, boots, and get dressed shoes. 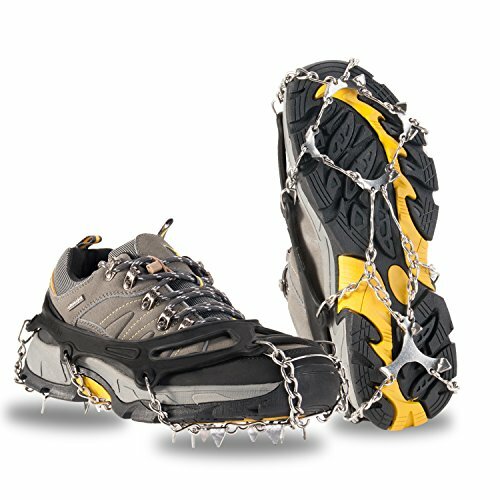 Even in subzero temperatures and deep snow, ICETrekkers Diamond Grip Traction Cleats stay put, and self-clear to forestall snow and ice buildup. 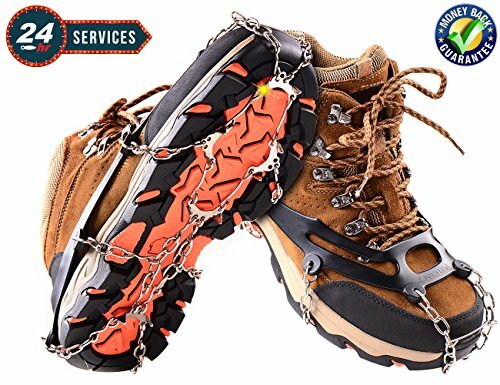 Cleats come in four sizes to suit most shoes and boots: Small (fits shoe size W5-7, M5-6); Medium (fits shoe size W7.5-10, M6.5-9); Large (fits shoe size W10.5+, M9.5-12.5); X-Large (fits shoe size M 13+).